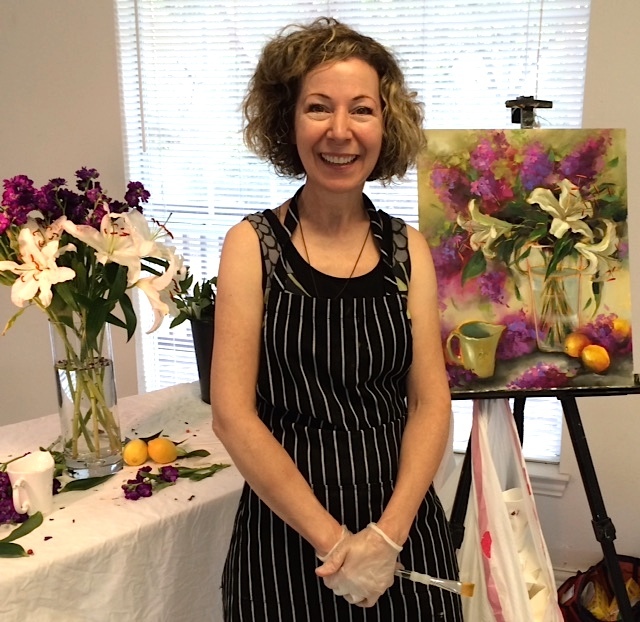 Berries and Creme Lily Trio was my sixth class demo in Rockwall, Texas, and I am always so sad to say farewell to a class of enthusiastic, talented painters, most especially when they bring me pastries! 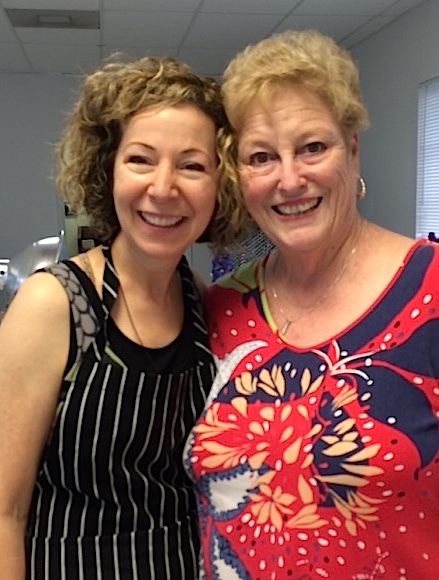 Thanks so much Rosemary, my enabler, donut supplier, and new BFF for bringing two dozen delicieux donuts this morning. 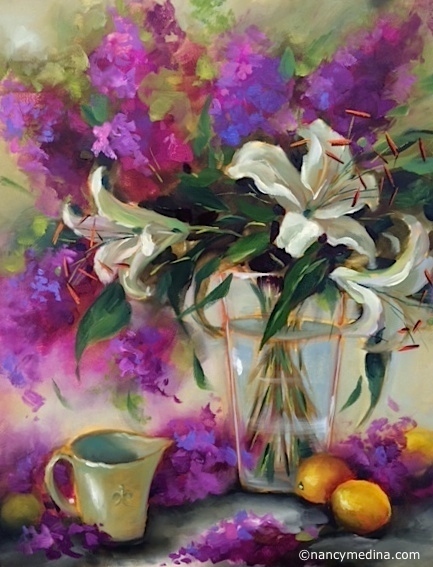 What in the world could be more fun than painting fresh flowers in the colors we love, while having just a few glazed treats while we're at it? The studio model flowers take a bow!